It’s been an odd week, since I last posted: and now an odd Thanksgiving, with attention split between the chapter I’m working on (more on that in a bit), family stuff, and the desire to check the latest from Mumbai, as one of those surreally-huge crises threatens to split the world and our brains. Below are some quick links, in lieu of a full post. The “Hempstead 15,” that group of Iraq vets and activists arrested October 15 at Hofstra University, have secured equal treatment for their cases by the Nassau County DA’s office. Which is to say that they’ve received the adjournment in contemplation of dismissal (ACD) that was once standard for direct-action types, before the Patriot Act: further legal action will continue, with a lawsuit by Sgt. Nick Morgan, whose face was badly damaged when he was trampled, and with the court-martial of Sgt. Mathis Chiroux, who still faces trial for his May refusal to deploy to Iraq. 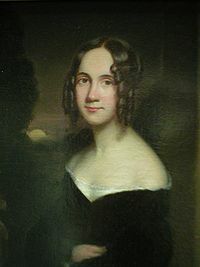 At my other shop, an interesting riff on the woman who gave us the Thanksgiving holiday (and Vassar College), Sarah Josepha Buell Hale. While fact-checking the piece, I also found out that Hale’s son went to West Point, and suggested a poem by one of my almost-characters on her magazine: Edgar Poe, he son wrote, “is seen as a man of talent here, but he is too mad a poet to like mathematics.” That line could title a biography. On the good-news front, the reviews of Milk are even better than I’d hoped. Milk, writes David Denby in the New Yorker, “comes across as an idiosyncratic man, a rule-bound New York Jew who finds his calling in the beautiful and sensually relaxed Mediterranean-style city.” This Bronx shiksa felt the same way for a few years of my life. As for Mumbai, I will not make the mistake of many whose business it is to chat, and default to some usual position — e.g. Fox positing a delay in closing Guantanamo or the rumors of Obama-staff presence that led normally sober media temporarily astray. But here’s the helpMumbai Page, for any Mumbaikers or travelers who might stumble here and want to know how to get/give concrete assistance. This entry was posted in book, history, human rights, journalism, military, politics and tagged Butterball Hotline, Hempstead 15, Jed Bartlet, Mathis Chiroux, Mumbai attacks, Samuel Hynes, Sarah Josepha Hale, Thanksgiving, The West Wing on November 28, 2008 by chrislombardi.